New Zealand’s Financial Markets Authority (FMA) has issued a warning against the Forex broker Oracle-FX. The regulator has been receiving reports that representatives of Oracle-FX are cold calling New Zealand Residents. Oracle-FX is not registered to provide financial services in New Zealand. The Financial Markets Authority (FMA) is the New Zealand government agency responsible for financial regulation. It is responsible for regulating all financial market participants, exchanges and the setting and enforcing of financial regulations. 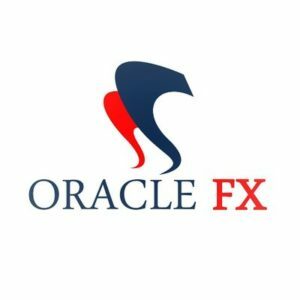 The Oracle-FX operates on the website http://tg.oracle-fx.com and is based in Jinjiang City, China. Also the information on the website states that the broker is supervised by FSP (548588) and NFA (0505926) and has headquarters in Auckland, New Zealand, however the information turned out to be false. The company is owned by Oracle Finance International INC., which registered on British Virgin Islands. Although, it is not registered in New Zealand to provide financial services. There are too many confusing things, including locations, where the broker is not regulated and the licenses is doesn’t actually have and the offshore regulation, which usually means that the broker cannot be trusted as it is fast and easy to get this kind of license. Generally, it is highly recommended to avoid dealing with unregulated brokers or, worse still, with ones making false claims like Oracle-FX. There are numerous properly licensed brokers, like the ones by FCA or the Australian Securities and Investment Commission to choose from. You can read our review on this broker here.